Charming Hill Station: Igatpuri is situated in the lap of magnificent ranges of the sahayadri in Nasik. 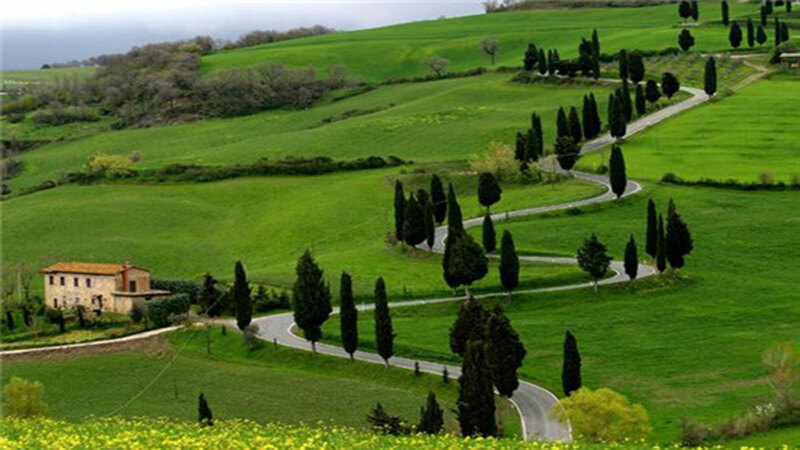 It is termed as the most exciting and charming hill station. Fresh air with magical rays of sunshine soothes away the stress of our daily life. Igatpuri is a paradise for the adventure lovers, especially for the rock climbers and trekkers. Monsoon clouds bring mysterious changes to this splendid hill station, drawing tourist from various parts of the country. The beautiful greenery and the breezy weather along with meandering waterfall is a beauty in the rainy season. Those seeking a spiritual retreat can head to an international academy to perfect the Vipassana meditation technique. 1. Day trek to Kalsubai: Kalsubai with the height of 5400 ft is famous as one of the highest peaks in Maharashtra. Kalsubai lies in the Sahayadri Mountain range. It commands a beautiful view. One can look forward for trekking on this mountain. There are steel railing chains and ladders art places where it is difficult to climb. 2. Vaitarna Dam is set in a picturesque environment. This dam consists of the stunning view of the rolling peaks of the Western Ghats, a lovely pond with a vast stretch of black waters bordered by deep woods. Along with its panoramic beauty the dam is the main source of water and electricity for Mumbaikars. 3. Camel shaped valley is near the Batsa River. The main attraction of the valley is the waterfall which cascades down from the height of about 1000 ft. The view is astounding and grandiose. The five waterfalls one below the other is a must to visit. The valley becomes greener and comes alive with many waterfalls during the monsoon which is the best time to visit the valley, this beautiful valley is covered in a blanket of clouds is a treat for your eyes. You can also indulge in some adventure sports like river crossing and river rafting. This valley is the perfect place to relax and enjoy the natural beauty. Camel valley is an ideal place for Photographers and nature lovers. 4. Tringalwadi Fort is situated among the sahayadri hill range and has a small temple dedicated to Lord Hanuman. It is located at an altitude of 3000 feet above the sea level; the fort offers a mesmerizing view of the entire locality. This fort is famous for its architectural beauty. It attracts number of trekking enthusiasts. Tourist also pays a visit to a nearby Kulang and Kalsubai mountains ranges. Those fond of Adventure sports can enjoy white water rafting by adventure camp Zone. 5. Bhatsa River Valley is situated on the plains of the Bhatsa River in the Igatpuri region. It has an extensive wood cover and hills that provide an ideal trekking trail. 6. Ghatandevi mandir is dedicated to Goddess Ghatan Devi, the protector of Ghats. In the backdrop there are peaks of Trimak, Durvar, Utvad and Harihar. 7. Umbrella Falls and Randhwa Falls: The umbrella falls and Randhwa falls do give a peace of mind once we are below the place. You could find them really active during the monsoon when cool water flows from the top to the Bottom. 8. Hilly rejuvenation in Igatpuri is ideal for a weekend getaway. It has got a cultural and historical significance of its own. Dhammagiri is also called as “Hills of Dhamma “.It is one of the largest Vipassana centres in the country for meditation. The local cuisine is mainly Maharashtrian food with a blend of South and North Indian cuisine. From idli dosa to Parathas and Tandoor, you can find them all here. Vada pav is a speciality. 9. Best places to stay in Igatpuri: it is recommended to rent a villa or a cottage in Igatpuri. There are a few resorts and mid range and budget hotels here. You can also camp at some sites. Few hotels here are rainforest Resort, manas Resort, Dew Drops Boutique retreat and mystic Valley spa Resort. The best seasons to visit Igatpuri are February, September, October, November and December. There are 16 tourist places that can be explored by travellers. For the best natural beauty, serenity and solitude experience and unwind yourselves in Igatpuri.